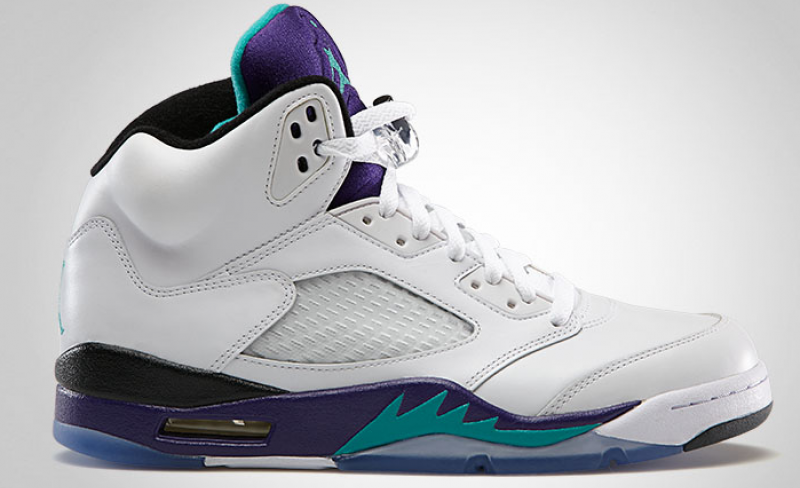 The Air Jordan 5 Grape first released back in 1990. The classic sneaker has retroed a few times since then giving sneakerheads a fair chance to cop their own pair. The white leather upper is complimented by a mix of grape and emerald staying true to the OG design. The only difference is the Jumpman on the back as opposed to the Nike Air logo.